After nearly ten months of waiting, California regulators at the state’s Air Resources Board stepped up this month in a big way to reduce emissions of the powerful greenhouse gas methane from the state’s oil and gas industry. For a state that prides itself on leading the charge to fight climate change, it was odd to see California had been lagging behind others when it came to addressing methane pollution. After all, methane is such a powerful short-term climate forcer that it’s responsible for a quarter of the warming we feel today. Now, by introducing long-awaited draft rules tackling the problem, the golden state has put itself back in the game. Several provisions in the draft rule represent some of the strongest standards in the nation and have the potential to seriously advance the conversation on methane controls. Among them, the new rule proposes to cover both new and existing sources in oil and gas fields – something that should draw the federal government’s attention as it contemplates whether to include both types of categories in its proposed national rules. The rule also uses better science than prior proposals – evaluating methane’s impact based on its 20-year impact rather than a longer 100-year value. 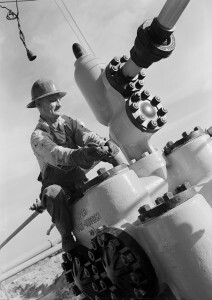 Additionally, California’s new regulations would require stringent quarterly inspection of leak-prone equipment instead of a more loose annual inspection requirement – a key improvement to the rule from prior drafts – though the ability for operators to step-down the inspection requirements into an annual schedule still needs to be rescinded. A surprise improvement to several provisions is a move away from flaring of wasted gas – a decision that will result in the removal of existing gas combustion devices in places like California’s central valley, an air basin that routinely ranks as one of the nation’s most polluted. By requiring oil and gas operators with waste gas to either put the gas into closed vapor recovery systems or install extremely low NOx units, the rule will deliver a double benefit by cutting vented methane that hurts the climate while also cutting smog-forming gases that hurt public health. And, a not-so-surprise addition to the rule around natural gas storage also emerged, a direct response to the massive release of gas from Aliso Canyon. While this portion of the rule will certainly be fleshed out in the coming weeks and months, new provisions over leak detection, repair and mitigation were introduced for the first time – somewhat matching the work of the California Department of Oil, Gas and Geothermal Resources (DOGGR) and charting a robust regulatory response to the multi-month Southern California disaster. As the second largest consumer of natural gas in the U.S., it’s critical that California adopt rigorous methane reduction standards within its own borders. However, as evidence mounts about the true scale of methane leaks across our country, it has become clear that action by California alone is not enough: methane is a national problem and it needs a national solution. Along with a handful of other states, including Colorado and Pennsylvania, California will now join the charge in holding the oil and gas industry accountable for its emissions of this potent greenhouse gas, and set an example for the federal government to do the same. Earlier this year, EPA released a long-awaited historic proposal for new rules to cut methane emissions from the nation’s oil and gas sector. However, those less comprehensive rules now stand in contrast to the more stringent efforts of bold states like California. The largest discrepancy between the federal rules and the new standards proposed by California is the application of oversight on both new and existing facilities. The EPA rules propose to regulate emissions from future operations, but don’t include the thousands of existing production sites, processing plants, pipelines and storage facilities across the country that are the source of millions of tons of methane emissions each year. While leaks from these existing sources are far less extreme that the gusher at Aliso Canyon, they add up to the same climate impact over the next 20 years as the annual emissions from 160 coal plants. Stronger federal rules could reduce leaks from the intentional venting that is common practice, as well as the accidental leaks that are the result of poorly maintained equipment and below-standard field performance. In California, the Aliso Canyon disaster has made an irrefutable case for more robust regulations to limit methane pollution from both current and future oil and gas sites, and California appears to be rising to the challenge. The state’s proposed rules show a commitment to increased oversight and more rigorous maintenance requirements of oil and gas facilities and we look forward to seeing the state finalize the strongest possible version of those rules. Now it’s time for the federal government to also take a look at its proposed rules and ensure the final product is as strong and comprehensive as it can be.